My wife changes the world every single day. And she does it just by being her. 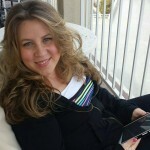 She doesn’t spend hours researching how to build a platform online or how to drive traffic to a blog. She doesn’t stand in front of crowds or record a podcast or write ebooks. There’s nothing wrong with any of these things (Um, they’re exactly what I do) and she could do any of them (really well, might I add), but my point is that you can change the world without them. Almost every day she’s meeting with some young woman over coffee who ends-up spilling her guts, then leaves feeling like she can conquer anything because of the love and wisdom Julie has shared. She puts in countless hours of thankless, behind-the-scenes work for our church, championing our community to anyone and everyone she meets. She’s helping to shape the lives of two little munchkins three days a week as the world’s best nanny. She’s raising our kids to be compassionate, loving young people who care about others more than themselves. None of these activities are particularly glamorous and I know the daily grind can be frustrating. “Am I really making a difference?” we ask ourselves. I know Julie has felt that way, as I’m sure most of us have. That’s why it’s nice to hear that you’ve actually made a difference every once in a while. A couple months ago we volunteered at the Wisconsin State cheerleading meet. 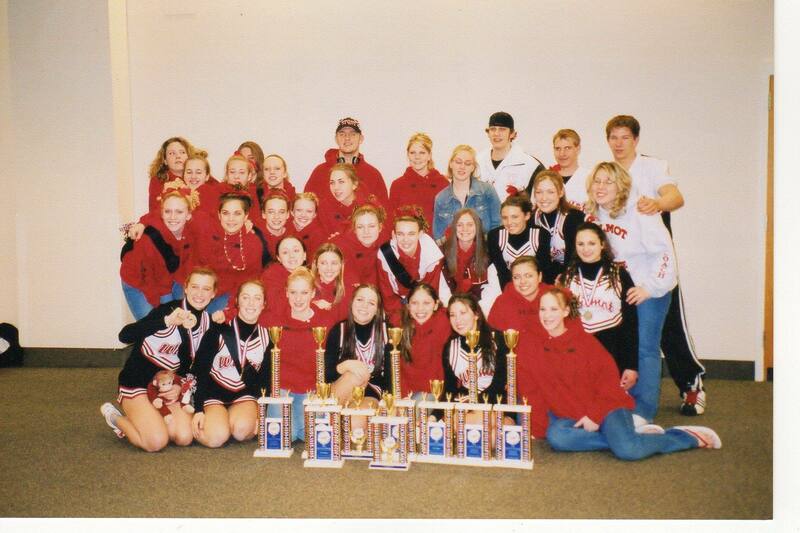 It was held at Wilmot Union High School where, over a decade ago, Julie took over as head coach for the fledgling varsity cheerleading team. Julie had never cheered for even one minute in her entire life. She was a drama geek in high school. But, they needed someone and it meant a few more dollars in her paycheck and, most importantly, an opportunity to impact a group of young people she’d otherwise never have the chance to. The first year meant a lot of long hours basically making sure the girls stayed alive. 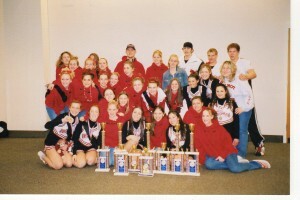 Julie did a lot of research and relied heavily on the upperclassmen to help her out with the actual cheerleading stuff. And even though she wasn’t technically skilled on how to develop those girls as cheerleaders, she loved them with her whole heart and taught them how to be incredible young women. Of course I started crying. Gimme a break. 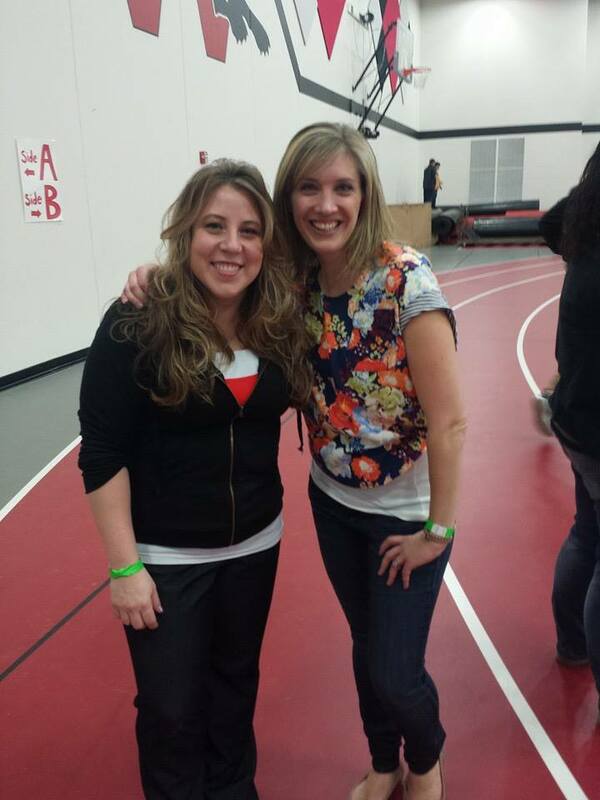 We saw former cheerleaders of Julie’s at that meet who were volunteering, some providing security, and a few of them even head coaches of their own teams now! 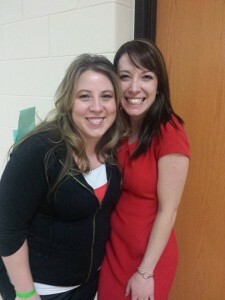 In fact, the senior girl who helped Julie that first year is now the head coach of that team. Insane. The point is, Julie didn’t have some master plan to change the world. The world changed because she loved people. Period. And that’s just who she is. Just a regular wife, mom and friend…changing the world every single day. And I’m so proud of and in love with her. Do you ever have that feeling, that you’d be able to change the world if only…? Do you believe you can change the world just by loving those around you? Just by being you? Are there people that have changed your life just by being them? How does that inspire you to do the same? The WHS squad, way back in the day! Julie and Jenni, the senior girl who helped Julie that first year and is now the varsity coach! julie does change the world every single day. Everytime her and I grab a meal or talk I walk away understanding Gods love and the world a little bit better. She has impacted my life in more ways than I can count just for being the amazing person she is!